G2A is designed with a lot of section boxes. 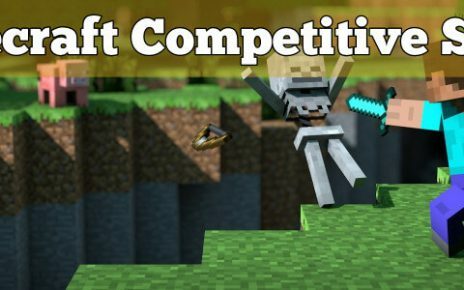 There are separate categories for console and PC games, credits, skins, e-pins and more. At first glance, it looks cluttered and you can easily get lost here due to the amount of stuff they are selling. Do not be alarmed though, the search box is there to help you find the stuff you want to buy. The nice thing in their design though is that their system remembers your choices depending on the stuff you bought beforehand or the items that you have looked in to previously. This helps a lot in navigating for return customers. G2A is the big daddy of all the game marketplace. In hindsight, they can be considered as the Ebay for all gaming companies. In comparison to other markets, the others can be considered as little 7-11 stores while they are considered as a big mall. The only other companies that have the same reach as them are Steam, GoG, UPlay and Origin, and even then G2A carries games and items from these markets. They have a very wide array of products, items, and e-pins and they are mainly the go to place if you want to buy or sell your wares. They are the global number 1 in the games market and that is a very big achievement considering you are competing with multi billion companies like Valve or EA. I have been a long time user of the G2A marketplace. This is the site where I buy my console games for my PS3, XBOX, PS4 and XBOX One. They mainly cater the EU market but they have a worldwide reach. It is not hard to find a game that will run on NA systems since they always carry both versions that can be played on PAL or the NTSC system. For the business side, they are partnered with all the big names in the industry. From manufacturers, developers, teams, payment merchants, and entertainment. 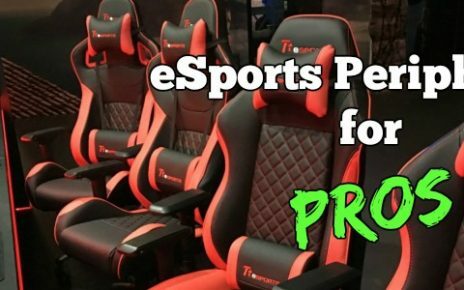 For the industry side, they are partnered with Gigabyte, Razer, Logitech, MSI, SteelSeries, HTC and Amazon to name a few. These companies are the biggest producers of gaming paraphernalia for PC and even console use. For the developers and publishers, their biggest partners are WarGaming.Net, Black Moon Designs and Hi Rez Studios. Hi Rez Studios is the creator of the Smite and also Paladins. They are also partnered with a lot of eSports teams and producers such as DreamHack, Beyond The Summit, ESL, ESEA for the producers’ side. The big squads they have in the partnership are Cloud 9, Na’Vi, Counter Logic, Virtus Pro, Complexity and Tempo Storm. These are some of the largest eSports crews and producers that compete in big majors such as CS:GO, Dota 2, League of Legends and Hearthstone. The business partners side consists of Amazon, Red Bull, Google, Facebook, Twitter and Thomson Reuters for the media sites and the internet related businesses. They are also partnered with major financial institutions like ING, Citibank and HSBC. They also support streamers and YouTubers. A few names are KSI, PewDiePie, Kripp, Castro, Bateson, Nick28 and Psii Syndicate. They also have their own CS:GO team which participates in big major LAN events. With these companies backing them, no wonder they are a worldwide leader. Getting partnerships from all these companies did not happen overnight. G2A has a very solid and dependable reputation to become partnered with these companies. With such a reputation, there will always be people who would want to take advantage of their system. I do encourage you to be careful when purchasing items in here since you might find some scammers in there who would sell you some fake keys or items. The company will still help you to recover your money if that happens, but you would lose your valuable time if that happens since credit reversals usually take 5-10 business days, depending on your banking institution. Always look for sellers with high ratings and just to be safe, enroll in the G2A Shield. One of the best features that they have in here is the G2A Shield. It works like a VIP subscription. With the Shield active, you would be eligible for a 10% cashback that will be deposited to your Wallet, access to the 24/7 Live Chat support, and also a 40% reduction in the fees they take when you sell your items. I will cover how the wallet works in another section here later on. Aside from all these perks from the Shield, you would also get all the best deals for the items you are looking for since they would give preferential treatment to those who are subscribed in it. Keep in mind that it is free for the first 30 days for new users and then it is €1.00 for a monthly subscription. If you buy or sell skins and items here, I would highly suggest you get the Shield as it is a very wise investment. Another good feature is their Price Match. If you already have purchased a product from their market, and you have found another game at a lower price, you can tell their customer service about the price difference and they will refund you the price directly in your wallet. There are already multiple times that I have bought a game from them and found the other one on sale on a different platform, and I was always refunded the difference in my Wallet. There are three ways that they make money from, these are Auctions, Selling and Buying. For auctions, they will charge you €0.15 per item you list. After the auction ends and you want to relist the stuff, they will charge you €0.15 for every 10 items you relist. If you are selling Steam skins, however, they have a different structure for that. For Shield subscribers, they will take a 4% commission on top of €0.05 for listing the item. If the skin has a value of less than €0.30, the listing fee is €.01 and they will not take commissions from it. If you are not subscribed in Shield, they will take a 6% commission on top of the €0.05 fee for items over €0.30. Skins that cost less than €0.30 cannot be sold if you are not a Shield subscriber. If you are selling other products, however, there is another structure for that. If you are selling console products for XBOX or Playstation such as subscriptions, cards, accounts, points or codes, the fee is 4% commission on top of the €0.35 listing price. For other items such as gift cards for Steam, Apple Itunes, Google Play, Facebook, Skype, Amazon, BattleNet and Spotify, it is a 2% commission and a listing fee of €0.35. The best method to purchase G2A Coins and add it in the Wallet so that you do not have to pay commissions or buying fees after the coins purchase. You can purchase coins using bank transfers, however, if you are outside the EU, there is a 2.49% currency exchange rate. You can also use Paypal or major credit cards if purchasing coins outside EU. They have one promotion that has been running for a long time and it is for a very good cause. This promotion is for the Save The Children foundation which provides feeding programs for the many impoverished places in the world. There are very big names who are big supporters of this campaign. PewDiePie, Dendi, Athene, KSI, Ocelote and SivHD are some of the players with golden hearts who have helped this program push through. For every dollar you donate, G2A will amplify it by 6 and you are able to exchange those credits for games. There are also lots of small companies that have donated small amounts and have currently raised $491,548.93 so far. I’m calling all players out there and urge you guys to do our share and help the kids elsewhere. All proceeds will fund the current project in Nepal and Bangladesh. One of the best bonus structures they have for common users is the Gold Mine. If you know a lot of people who are interested in gaming and skin sales, refer them to G2A and when they either buy or sell your recommended items or games, you earn a percentage of those sales. The Gold Mine is an easy setup and there is a step by step tutorial on how to set it up. It will only take less than 10 minutes of your time to set up, after that you can give out your referral links to people and enjoy the benefits when they start conducting business. Here is my reflink to help you get started in your G2A journey. If you are planning to open your own selling store, they also offer business deals for that. You can set it up at G2A Business and start earning profits in purchasing and selling large quantities of skins and games. This mode of earning is for people who have a capital to start out with. The buying fee is a standard €0.35 for all pay merchants and credit cards except for Boleto where they charge €1.60 as the fee. The commission on top of that ranges from 3.50% all the way up to 11%. If you are using Visa, the charges are the lowest of all at 3.50%. Paypal has the next lowest at 4%. Mastercard, Dot Pay, Skrill, Maestro and WebMoney charges 4.50% while JCB charges at 4.75%. American Express has the highest charge among all major credit cards at 6% while Paysafe card has the highest charge among all pay merchants at a whopping 11%. For all other payment methods, you can check the rates here on their website. This is hands down one of the companies with the best customer service teams out there. For Shield subscribers, there is the 24/7 Live Support and based on my personal experience, they are able to resolve issues right away. The only issue that took a long time was the refund for the game that I purchased twice and had to wait for the bank to reverse the transaction. Other than that, everything else is awesome. For non-Shield subscribers, there is the ticket system which is also quick to reply. I sent a ticket before and it took them less than an hour to reply me, and from there the representative walked me through on how to set up my Gold Mine. This was before they had the Gold Mine tutorial. This is by far the best marketplace for mobile browsing. They actually have an app that you can download on Itunes or the Play Store, depending on your device. Honestly speaking, I even prefer browsing using the app than going online using a web browser since the app is much more organized. It is easier to actually navigate and scroll through the application especially if you have a large screen. The mobile application also has its own set of promotions where it is labeled as mobile only sales. From there, you are able to get new games for very cheap prices if you know how to look. G2A is easily the best place to go look for all your game related purchases in console and PC whether it be CS:GO, Dota 2, Hearthstone, FIFA and everything else in between. It is also a very popular market for subscriptions for XBOX, Playstation Network, Apple, Amazon and Google Play. It can also be a place for starting your own business through their Business Partnership structure. 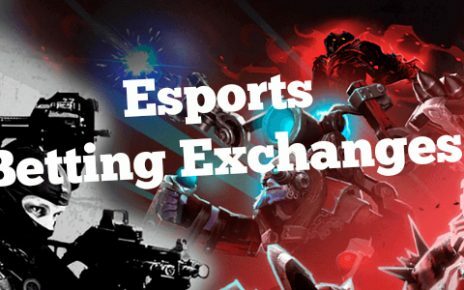 Decentralized Esports Odds: How do Betting Exchanges Work?